Don’t be fooled by the compact size of Al Capone cigars. These little masterpieces are packed with flavor and gently entice your senses. These cigars bring together quality, affordability and taste, giving you a product that you will fall in love with instantly. These cigars are popular across the world with both seasoned and novice smokers. Once you have a drag, you will no longer smoke any other brand. Al Capone cigars measure 3½ inches in length and have a ring gauge of 20. These mild to medium-strength smokes are made with choice fillers that are composed of tobacco leaves from Brazil and three different Nicaraguan regions, namely Esteli, Jalapa and Condega. Many of these fillers have been infused with delightful flavors that appeal to different types of smokers. If you are looking for a classic, smooth and aromatic smoke, then Candela cigars are perfectly suited for you. Those who enjoy a hint of sweetness will love the cognac-dipper Sweets cigars. 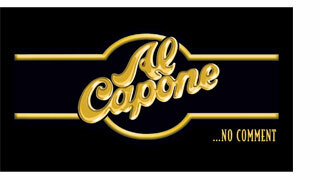 All Al Capone cigars come with Bahia wrappers that are soaked in rum or cognac during the manufacturing process. This adds to a more full-bodied flavor, giving you a smoke that is rich and fragrant. These cigars will soothe your nerves and relax your senses. Keep them handy so that you can smoke these anytime, anywhere. This brand derives its name from the infamous Chicago gangster, Al Capone. These affordable pieces are the perfect go-to smokes when you don’t have enough time for a full-sized cigar. And when you do have time in your hands, pair these up with a stiff drink. You’ll soon be floating in bliss. These cigars have been one of the best selling cigarillo sized cigars in the United States for several decades. If you haven't tried one and you do like a sweet cigar...these will not disappoint!